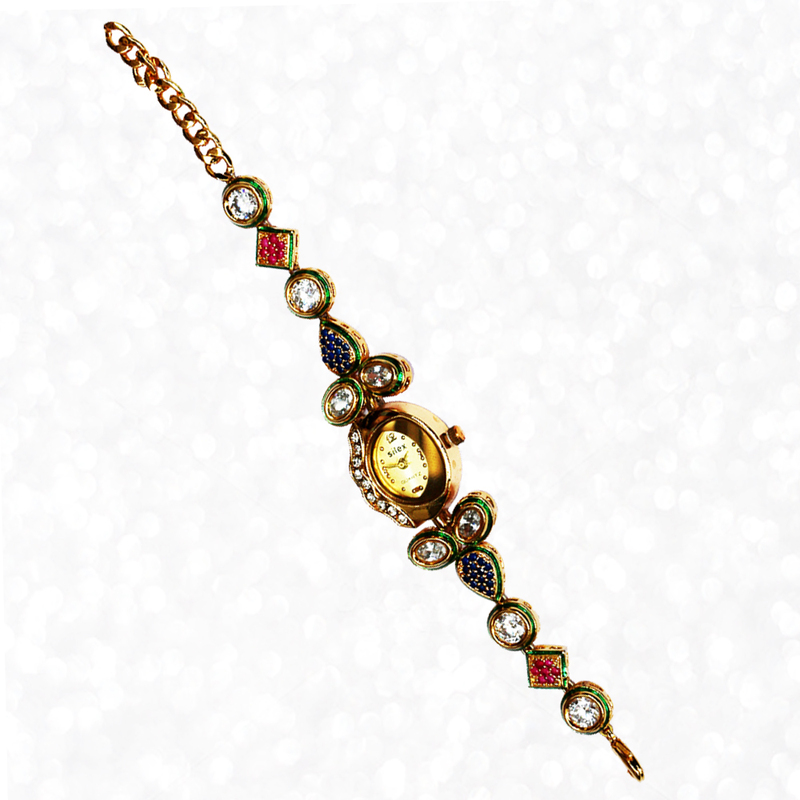 The Oval Shaped Kundan Work Dialer allergy free gold polished Wrist Watch with Stones boasts of ethereal aesthetics in the form of the mesmerizing Kundan Read More..work, which in addition to the stones, adds to the beauty and charm of this wrist watch. Moreover, the presence of CZ ruby stone, Zircon, and CZ blue sapphire ensures that the watch makes an eye-catching addition to the attire of its wearers. Show Less..